Vita Sackville-West and her husband Harold Nicolson visited Northampton, Massachusetts, in 1933. They gave two lectures sponsored by the Hampshire Bookshop, which was owned by two alumnae of Smith College—Marion Dodd ’06 and Mary Byers Smith ’08. Marion Dodd’s companion, Esther Cloudman Dunn, donated this studio portrait of Vita along with the Hampshire Bookshop Collection in 1977. 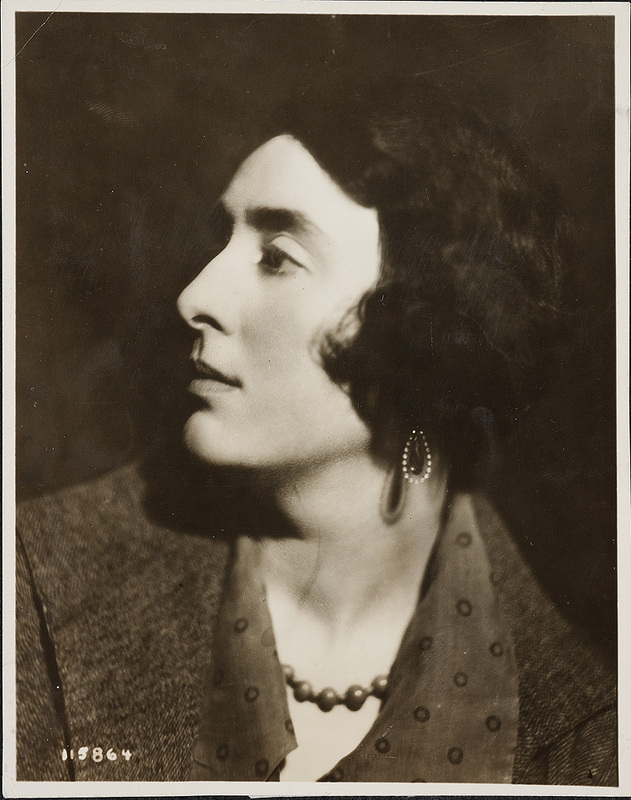 Esther Cloudman Dunn, who was a Shakespeare scholar, and the first woman to earn the doctorate from the University of London, joined the Smith faculty in 1925. Presented by Esther Cloudman Dunn. Click on each image to open it at full size in a new window.